It is a known fact that video plays a very powerful role in marketing. Using virtual reality the marketing is more advantageous as it solves huge problems related to engagement and brand awareness. Virtual reality is immersive, impactful, memorable and novel. 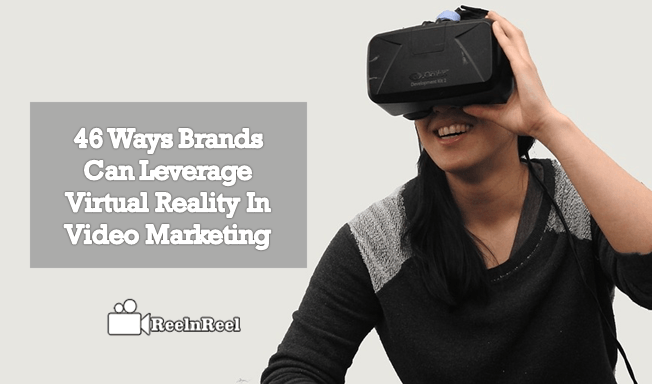 VR can be leveraged to create successful marketing campaigns. 1. Use Virtual Reality in your campaign and start targeting consumers with the mobile phones. 2. Mobile virtual reality content, however, should not be very long. 3. If the video content is short, people will easily share it. 4. Even though using new technology, remember that the quality of the content plays a crucial role in the success of the marketing campaign. 5. Choose the content that is going to sell avoid producing anything for virtual reality. 6. Another great idea is to create interactive content. 7. Engage the senses of users with virtual reality video content. 8. Virtual reality campaigns have the ability to highly engage the audience. 9. VR concepts can be used as off marketing campaigns also. 10. VR is used by marketers to deliver a clear message. 11. The content of virtual reality is created to wow users. 12. The VR concepts created provide a new exciting experience for the audience. 13. The VR campaigns should be made to remain interactive. 14. Virtual reality campaigns must be created to capture the focused attention of the audience. 15. Real estate marketers have a lot of options to use virtual reality in their marketing campaigns. 16. Ensure that your customer base can access the VR technology easily. Since, VR headsets from top brands are very expensive, equip audience with your own creation of cardboards. 17. Product promotion and VR technology is a very powerful strategy. 18. Marketers who are using VR in their marketing campaign should take the help of custom cardboard headset makers to equip customers for VR technology. 19. Have a VR app to enhance the experience of customers. 20. VR app development services help to do this. 21. Virtual reality helps to get many views and this helps in establishing the brand. 22. VR can be used to create engaging interviews. 23. Tour to the office is another type of video which can be created in VR. 24. Automobile marketers can use VR to create a video of test driving vehicles. 25. VR and 360-degree videos can be used to provide interactive viewing experience to the users as these capture things around the camera. 26. VR Marketing videos can be viewed on smartphones also. 27. Companies can use VR to take the audience to popular destinations. 28. They can allow them to try their products before they buy. 29. VR gives a better chance for marketers to encourage the audience to complete the action that the marketer want to take such as signing up, Buying or downloading. 30. Marketers can take the audience for space travel or even time travel to engage them. 31. Marketers can get big media exposure as benefit from virtual reality. 32. Ensure that the video ad is not more than ten seconds because average human brain pays attention for only eight seconds. 33. Manufactures and manufacturers can use virtual reality to show their products in virtual showrooms. 34. For example, automobile companies can show all their products in virtual showrooms so that people can see the products using their headsets. 35. VR allows marketers to promote their products by combining photography and technology. 36. VR can be used by large companies for effective branding. 37. VR experience is more memorable and offers more customers satisfaction. 38. VR helps the brands to have more customer satisfaction and increased loyalty . 39. Marketers can use VR to clearly illustrate the features of the product. 40. They can demonstrate how a product can be blended into the lifestyle of the customer. 41. VR allows the audience to intimately connected and increases sales and the chance to reach the masses. 42. Hotels or holiday companies can take their audience to the destinations and let them feel the accommodation, look at views. 43. Automobiles are using VR to get them to their showroom, take them for a personal drive from anywhere. 44. VR can be used to educate the customers. 45. The audience is interested to know about the backstories of the products and so VR is used for this by the companies. 46. Events, seminars etc can be shown to the customers to provide them virtual reality experience. Virtual reality allows the audience of video marketing to experience products and events like never before. Since the past few years, video advertising is exploding online and so the marketers are trying to incorporate this new thing in their marketing campaign to engage the audience.